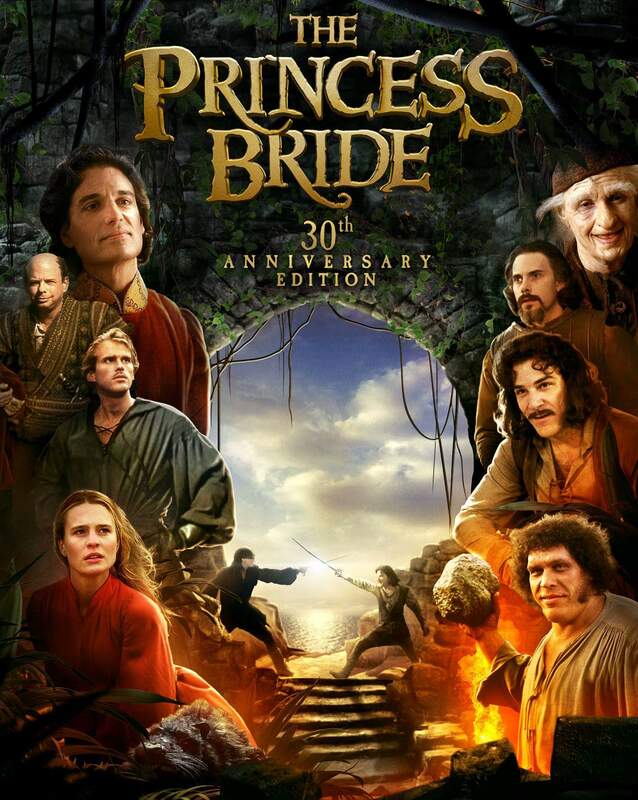 The Princess Bride Is Absolutely Perfect! FITE ME IRL! The Grandson: Has [the book] got any sports in it? The Grandson: Doesn’t sound too bad. I’ll try to stay awake. The casting is impeccable, from Robin Wright’s luminous and beautiful Buttercup to Wallace Shawn’s cheerfully malevolent Vizzini to André the Giant’s gentle giant Fezzik. Truly, there is no part I’d recast, from the very top of the bill all the way down to the hag who appeared in but a single scene, to lambaste Buttercup over and over again. What strikes you most about the movie is this: despite being humorous, and clearly a self-aware play on the tropes of fairytale romances, there is a total and utter lack of ironic detachment. The movie is sincere. Westley truly loves Buttercup, and she truly loves him back, and the movie treats this as the rare and precious thing it is. Inigo Montoya’s father was slain in front of him, and his pain drives all his actions in the movie. Even the ironic and detached Count Rugen is utterly sincere in his love of causing pain, and his desire to truly understand the suffering he causes others. The character is detached and ironic, but the movie never is. This sincerity is what gives this bagatelle weight far beyond what would ever be apparent from reading a synopsis. A grandfather reads a book to his grandson? So? That’s commonplace, and boring. And yet, by the end of the book their entire relationship has changed, and his simple act of lovingkindness has brought them both closer together. The sincerity in their relationship makes their relationship matter to the audience. Westley loves Buttercup, and shows it through constant service and humility. She truly loves him back, which is what makes his sudden loss at the hands of pirates so jarring. The characters care about each other, deeply and passionately, and as a result, the audience cares about them and their plight. And with every humorous line, incongruous situation, or unexpected plot twist, the movie rewards that investment with delight. There’s something to be said for movies that delight people. Something? Nay, everything. Delight is, all too often, a forgotten ingredient in popular fiction. Even people who believe in good, and eagerly fight for it, fall into the trap of writing books in which there is no joy, no delight. And delight—that light-hearted feeling, sibling to true joy—is an emotion that is rare and precious. Creators that can reliably evoke delight in their audiences have the potential to make something truly great. Walt Disney had the touch, as have several others, but as time has passed it’s became rarer and rarer. Today… well, I’m not sure I can remember the last time a movie evoked genuine delight. All is dark and ugly, and more interested in pushing propaganda than in serving the needs of the audience. Fantasy without wonder or delight is grimy and sad, and not at all “realistic”. Movies, books, TV shows: these which thrill their audiences, which delight them, which evoke a sense of awe or joy or wonder, are the most precious of jewels, especially in today’s debased entertainment marketplace. In olden days, Hollywood execs soul their souls for money. Today they sell their souls to virtue signal, and lose all the money. And along the way, those ingredients that made their fictions memorable, enjoyable, and lasting have all faded and fallen away. Which is why this movie has become the perennial delight it has. Why would I fight the truth? This movie is proof that you can make something humorous and still have it retain weight. There is absolutely no chance Hollywood would make something like this today. Count Rugen is a pretty good example of toxic masculinity. Dispensed with by positive masculinity and 31 inches of cold Spanish steel. and that thought makes me weep, but not despair. Like everything else, this aspect of Hollywood will pass. The question is, will I live long enough to see that? Rob Reiner is a real American. Witness how he also hates Drumpf. From his white enclave in Malibu…where the Hispanics are bussed in to clean Reiner’s place and bussed out before nightfall so he can enjoy his fellow rich elite whites in peace. He hates Trump because Trump is trying to raise wages, and that means more expensive cleaning maids for Reiner. The Princess Bride novel is also very good. The book was also good–in a very different way. The bridging story was completely different. The original was a rather cynical political satire, and the current “translator” only included “the good parts”–just the way his grandfather read it to him when he was a kid. His “translator’s notes” keep the satirical spirit of the “original” without spoiling the story for the kid *you’re* going to read it to. Oddn but a lot of fun.